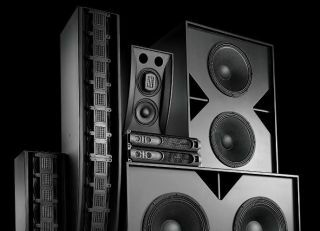 Christie has announced a record year for its Vive Audio installations worldwide, with the cinema speaker system on target to power its 150th screen in time for some of this year’s most heavily anticipated blockbuster movies. At the current pace, the company anticipates a 100 percent increase in Christie Vive locations, with up to 300 auditoriums pumping out cinema audio by CinemaCon 2016. The latest locations to embrace Christie Vive—Southern Theatres’ Movie Tavern in Baton Rouge, LA, and Movie Tavern in Flourtown, PA—are scheduled to open in May and July 2015, respectively. Christie was one of the first in the U.S. to power a multiplex exclusively with Christie Vive Audio and Christie Solaria Series Projectors at the Grand 14 Esplanade in Kenner, LA, which opened in 2013; and the Movie Tavern Northshore in Covington, LA, which opened last year. They followed in the steps of other renowned exhibitors such as Grupo Cinemex, which opened 21 CinemeXtremo Premium Large Format auditoriums with Christie Vive and Dolby Atmos.